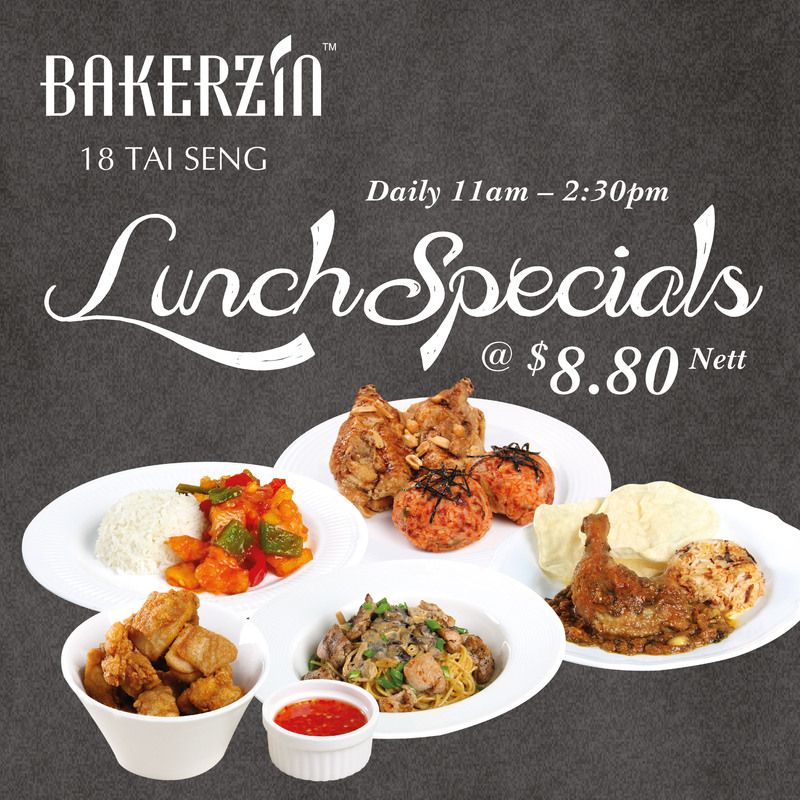 Thursday | March 30, 2017	Delight in a GASTRONOMIC experience with Bakerzin Lunch Specials @ 18 Tai Seng! With four delectable dishes from the menu, you'll be spoilt for choices! Can't decide what's best? You've got to give Oppa Soy Chicken with Kimchi Jumokbap a try! 정말 맛있어! Lunch Special will be available daily from 11 am till 230 pm, exclusively at 18 Tai Seng.